Climb the ladder to reach your goal, zoom down the slide to celebrate success! Personalize for any project … then wipe clean and use again! 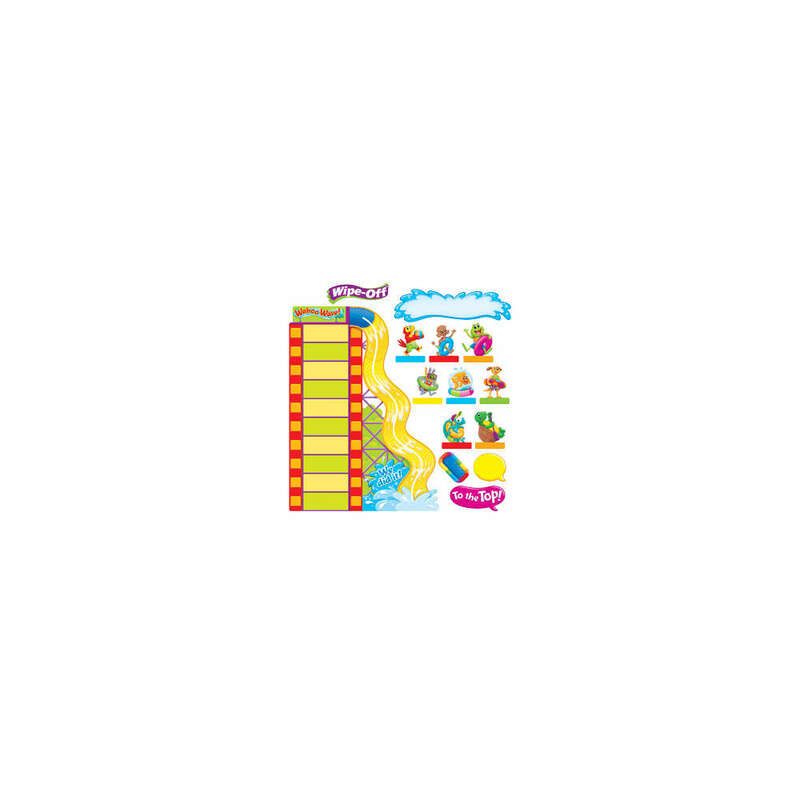 Includes 40 reusable pieces: 35½" x 26" waterslide, 2 moveable rafts, 30 Playtime Pals™, 5 speech balloons (2 blank), and 2 blank headers. Coordinates with Playtime Pals™ Collection.